Hi there! I’m thrilled you stopped by today. So, it’s here. What’s that, you ask, what’s here? Summer vacation. I’m excited to have my kids home. We’re going to have lots of fun (I hope). But, I still have responsibilities and obligations I have to meet. I can’t spend all of my waking hours entertaining my kids or breaking up fights. 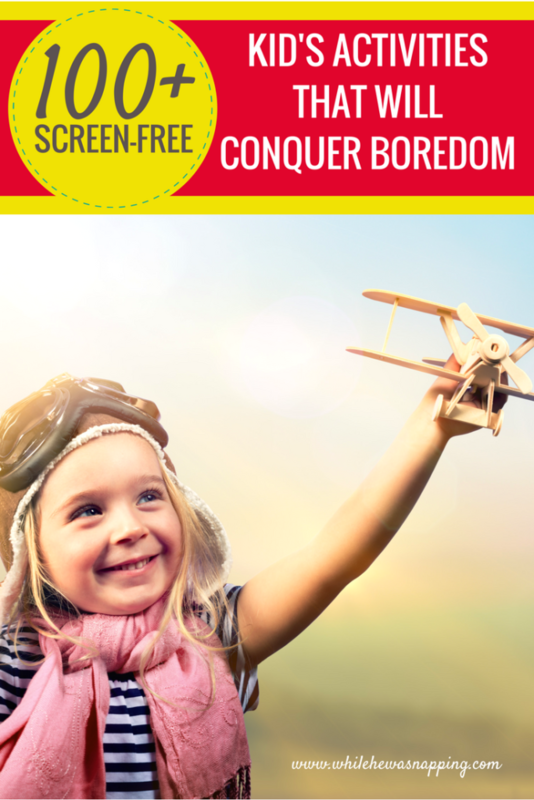 And that’s where this awesome list of screen-free kid’s activities comes in. When the boredom monster rears his ugly head and chaos ensues, my kids are directed to this list of activities. They can choose something together or mom gets to pick their next activity – usually a chore. If you ever need your kids to entertain themselves, here’s 100+ ideas you can give them without saying a word. Most of the time, I find that the hardest part of helping my kids come up with an activity is that I’m short on ideas. They just don’t come to when I need them most. Having a list already made up saves my skin (and sanity). 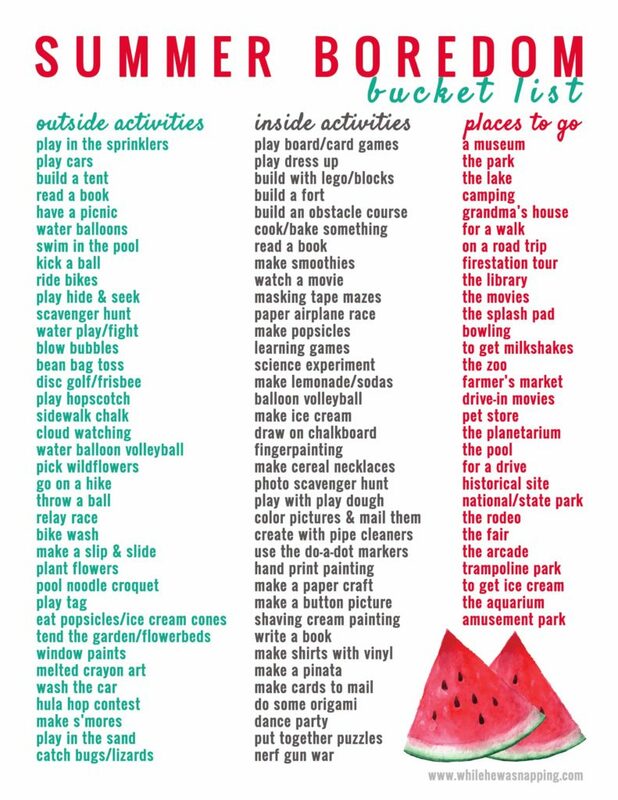 If you ever struggle to come up with kid’s activities, this list is for you. I’ve been struggling to keep my kids off the screens lately. And they always counter with, “then what can I do?” Apparently, they are tired of hearing my 7-9 standard suggestions. So, now they have over 100. If they can’t find something that sounds fun in that many ideas, then they probably need a chore to remind them what really qualifies as fun. If you’ve ever been inundated with “I’m bored”, “there’s nothing to do”, “everything is boring!” or any variation of those, you know it can be frustrating. I’m a big believer that kids need to learn to entertain themselves. They need to be bored in order to figure out what to do about it. But, also, they should help plan family activities. Planning is part of being in a family, and life in general. Learning life skills like problem-solving, planning, thinking ahead, preparing for an activity or event, and figuring out what to do with their time are all good things! If you get to spend some quality family time together too, I’m calling it a win. This screen-free kid’s activities printable will help you reign in the summer chaos while helping your kids learn some valuable skills. It’s super simple. All you have to do is enter your info in the box below to unlock the premium printable and get immediate access. Step #2: When the image appears, click on it and a new tab will open with the download page. Step #3: Download and save the image to your computer. 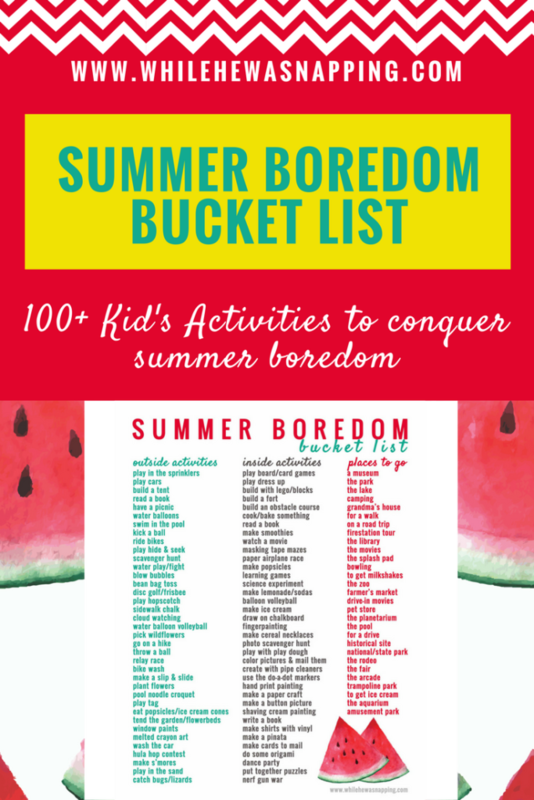 Step #4: Print your copy of the Summer Boredom Bucket List printable. That’s it. You’re ready for a summer of fun, screen-free activities! Go you! Make this summer one to remember with fun activities you’ll all enjoy. Let the kids help plan the activities and carry them out. 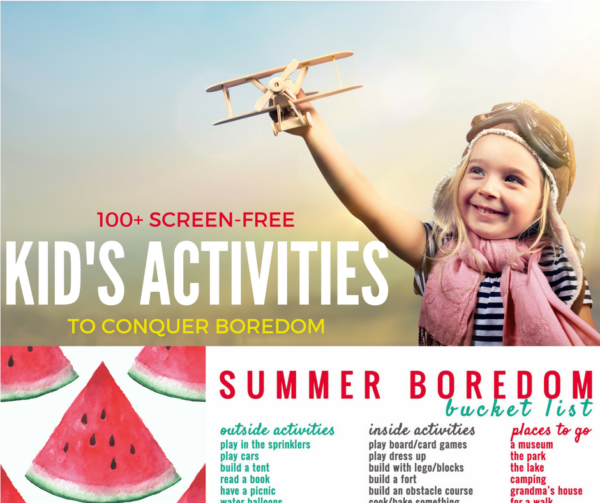 Conquer boredom and manage the chaos with a little help from this Summer Boredom Bucket List and over 100 kid’s activities ideas. Ready for a great summer? Get to it! 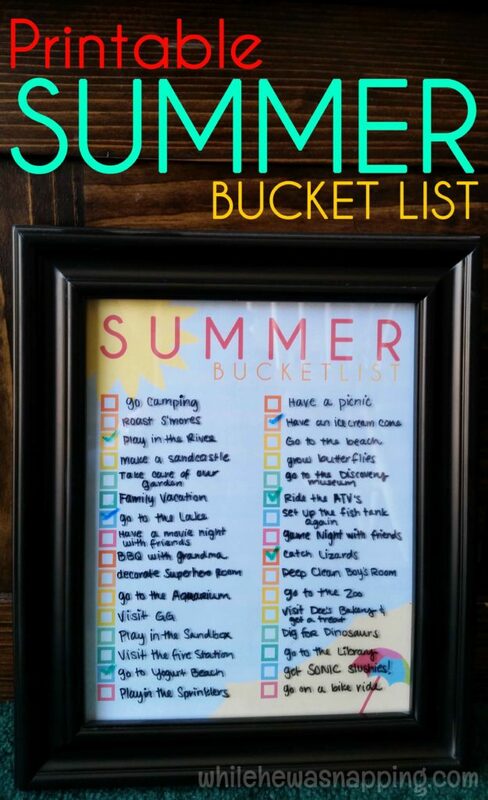 You might also like my Printable Summer Bucket List so you can make a list of all the things you want to do this summer too!